Held on 19 and 20 February, ICMA SAN GIORGIO open house was a success. 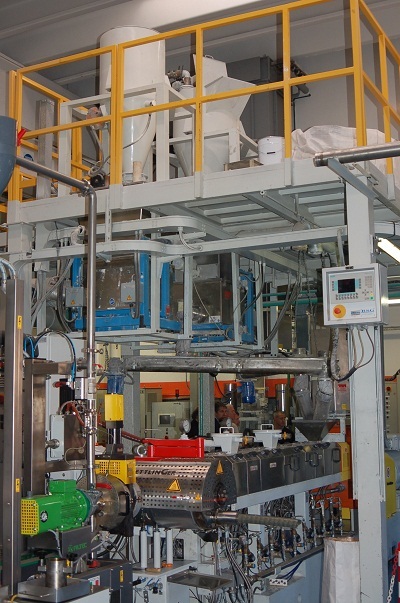 The event dedicated to the advanced recycling of heterogeneous plastic scrap also saw the participation of the Italian company, Filtec, and Germany’s Ettlinger. Leading technical publications were also in attendance at the company’s headquarters in San Giorgio su Legnano, near Milan, along with 70 selected guests from all over the world. This impressive participation confirmed that there is great interest in recycling technology and gave ICMA SAN GIORGIO the chance to illustrate the important technological developments available today on its co-rotating twin screw extruders, and its turnkey lines for recycling applications, in which the Milan-based company specializes and for which it is renowned around the world. “Extruders dedicated to the recycling sector are an example of the technological excellence we are very proud of and bears witness to my company’s commitment to studying and creating enabling technology for a sustainable economy,” said Giorgio Colombo, CEO of ICMA SAN GIORGIO.